It’s the last day of the year! Anything I didn’t get done will just have to wait. 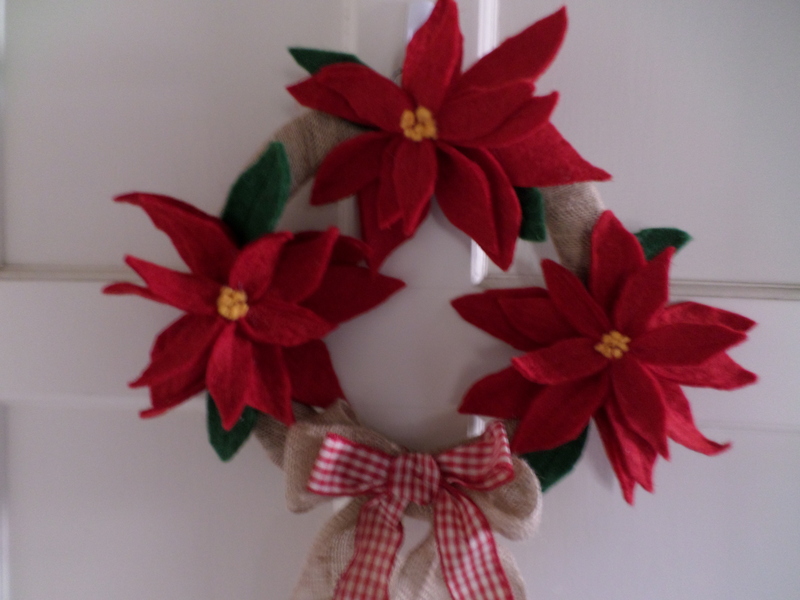 I finished the year with some Christmas crafting. I am using some of the Christmas fabric I got for free from the closing of my neighborhood thrift store a few years back. 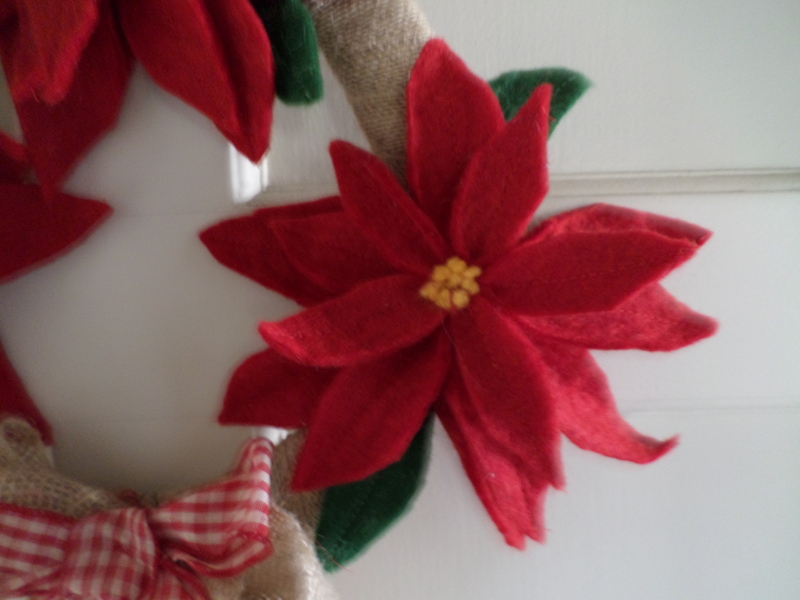 I made a wall hanging from this Santa panel. 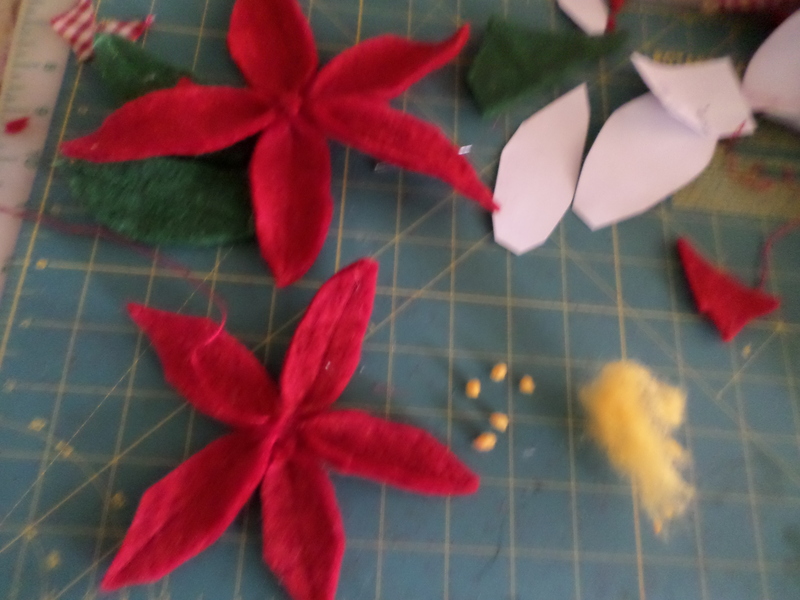 I got the idea to add fiberfill as I machine quilted, to pad out parts of Santa’s body. That turned out to be not the best idea because the quilt wouldn’t hang straight. The bells at the bottom were not enough to weigh it down. I should probably put in a bottom sleeve with a dowel, that might just do the trick. Maybe next year. I used two different fabrics for the binding. So pretty! I ended up using a hanger with clips to display the wall quilt. I may have messed up on a simple project, but, hey, it’s still Santa, and seven dalmatian puppies! Can you spot them all? I also went old school, and made some decorations with just paper and scissors. Snowflakes! The fun part is unfolding them. 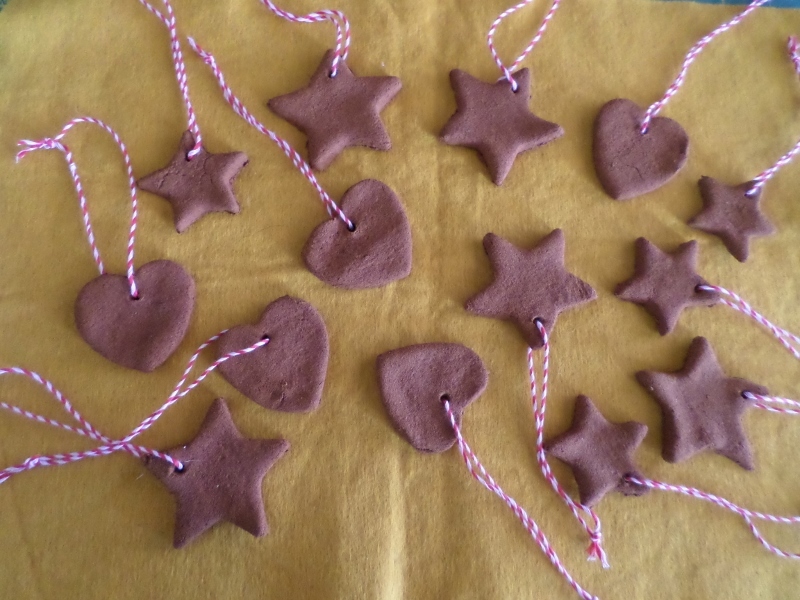 I ironed the snowflakes, and put some on a string for display. Wishing you many happy hours making, creating, and crafting in the New Year, 2019! 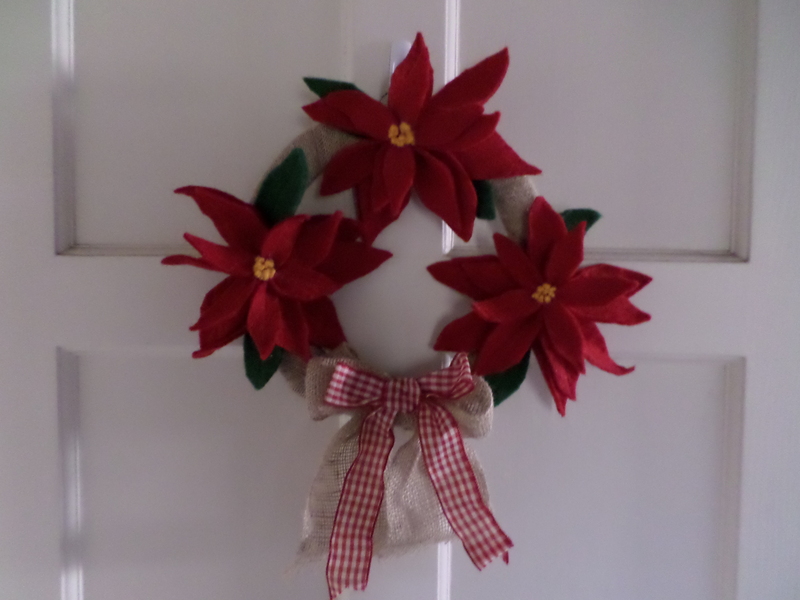 This entry was posted in Crafts, Sewing and tagged christmas sewing, paper snowflakes, quilted wall hanging on December 31, 2018 by Stitch It Again. 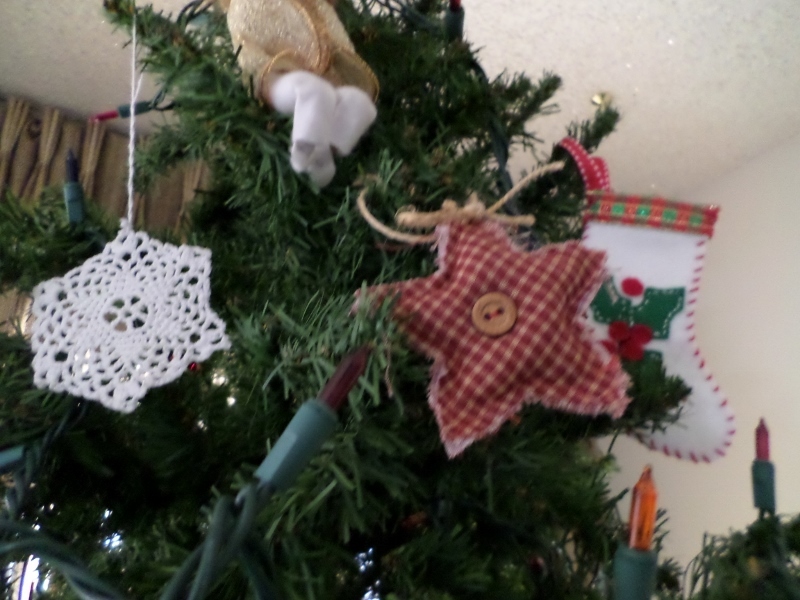 Do you keep your Christmas decorations out through New Year’s Day? I do, and I hope it’s not too late to share what I made this year. I have in my possession a book I treasure that belonged to my Connecticut aunt, and eventually ended up with me. It’s called “Harvest of Hope” by Faith Baldwin, published in 1962. It’s in the form of monthly reflections for a calendar year, and has a wise and timeless quality. 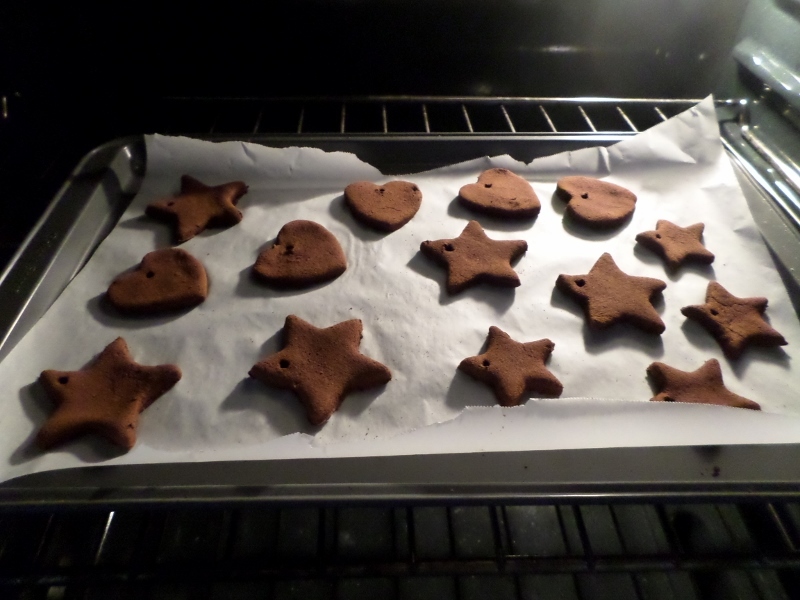 I finished a few cross stitch ornaments for the tree, made some rustic plaid stars, and spent a rainy afternoon making some wonderfully fragrant cookie cutter cinnamon stars and hearts from a simple cinnamon and applesauce dough. 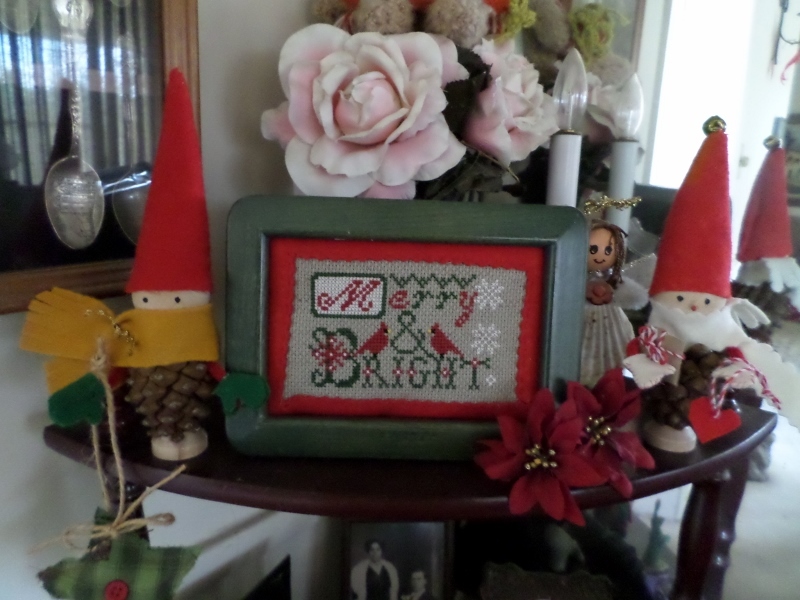 I also framed one cross stitch piece, and made two Nordic inspired pine cone people with wooden heads, and felt for hats and scarves. 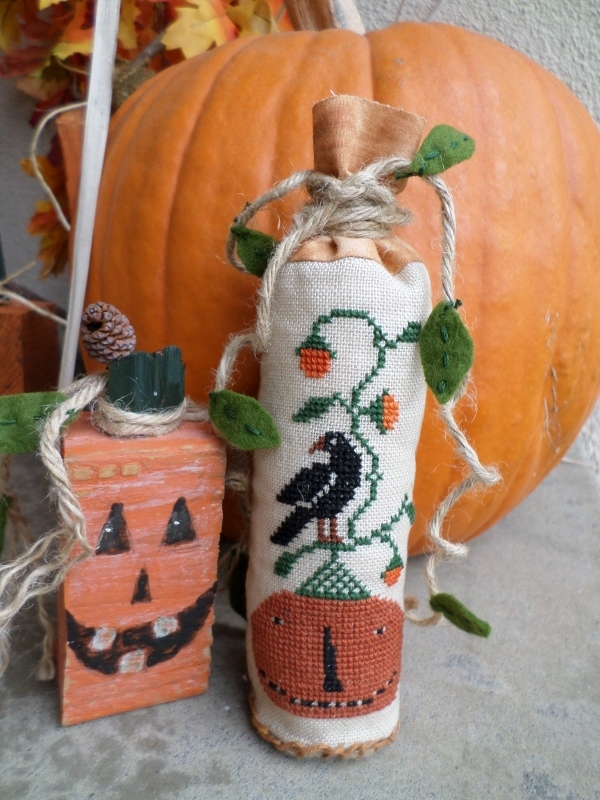 This entry was posted in Books, Crafts, Embroidery on December 31, 2014 by Stitch It Again. 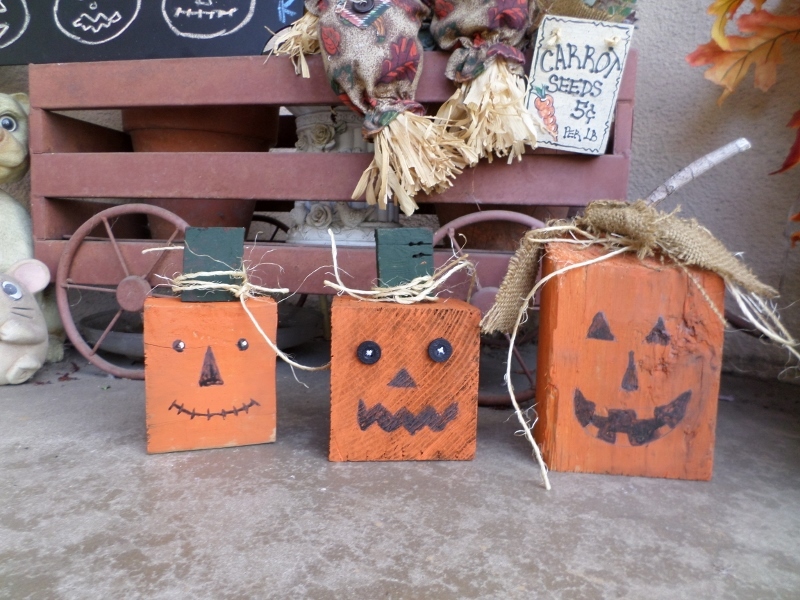 Inspired by Pinterest, I made several Fall and Halloween decorations this year. 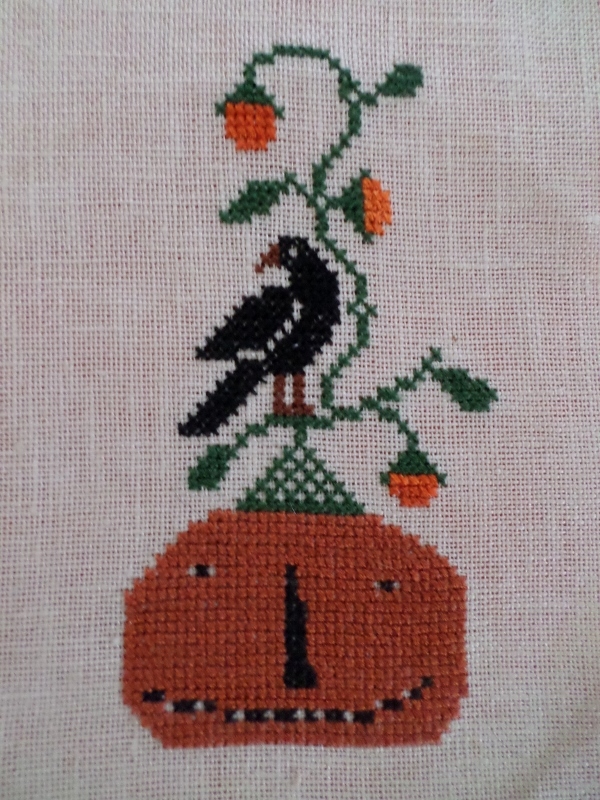 I especially enjoyed rendering the classic jack o’lantern-faced pumpkin in different mediums: glass, wood, felt applique using a sewing machine, and cross stitch on linen. 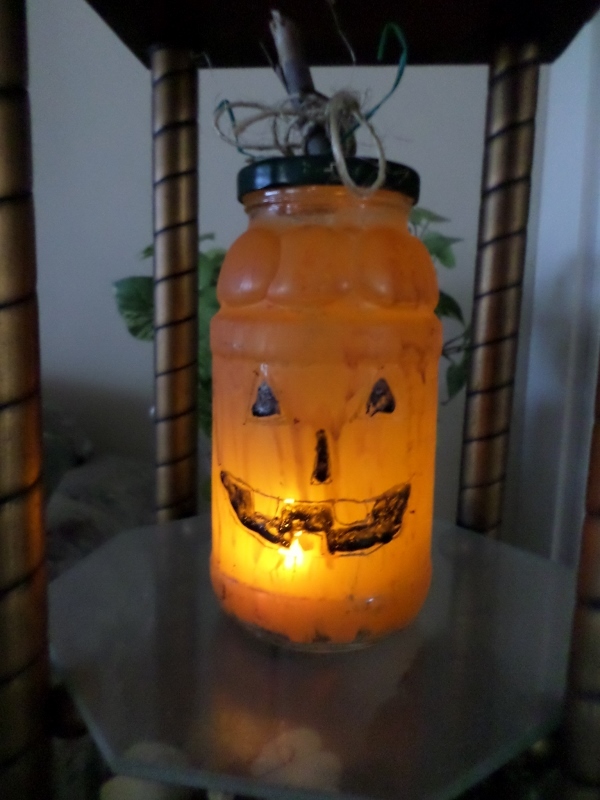 A painted glass jar was surprisingly effective with a flickering light inside. 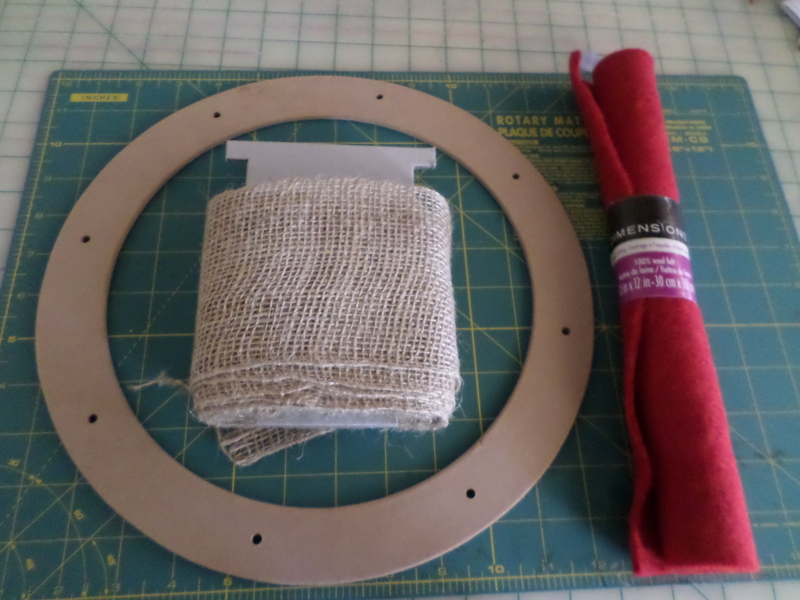 I wanted to use some of the felt I picked up at a curbside for free. This pillow worked up so quickly on the machine with the felt appliqued on black canvas. I decided to make the pillow two-sided just before I was about to sew it together. Cross stitching this design on linen was easier wearing my new prescription glasses for close work, although I still needed the magnifying glass as well. Every project was finished with twine. 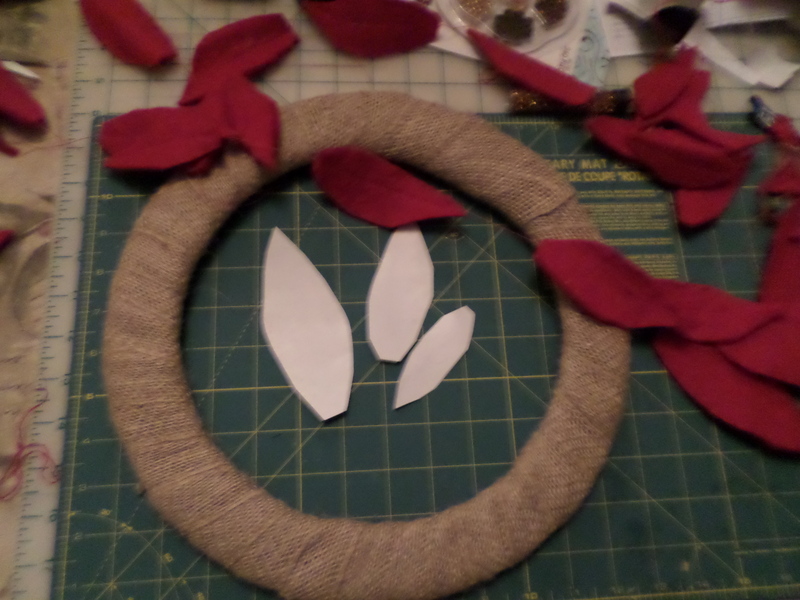 It was fun to branch out and create using natural objects in addition to my usual stitching. Do you like to stick with one craft or experiment with many? 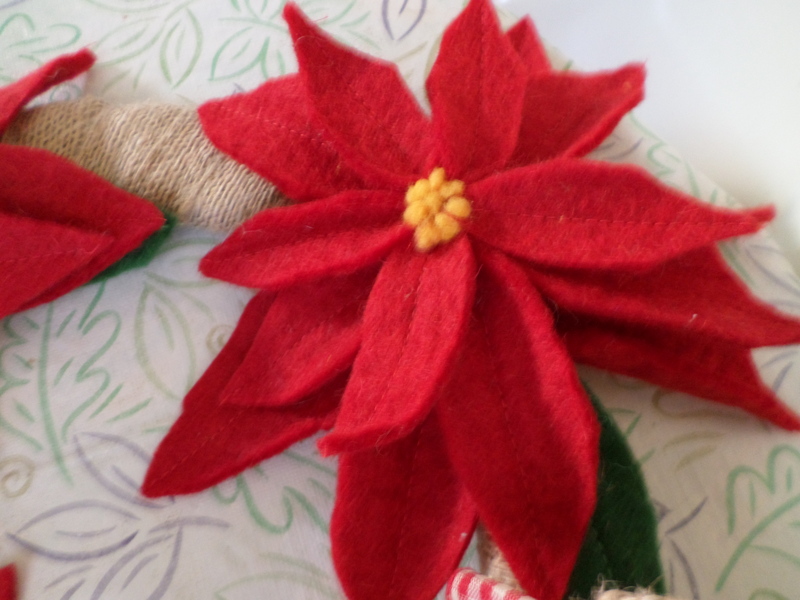 This entry was posted in Crafts, Embroidery, Sewing on November 14, 2014 by Stitch It Again.